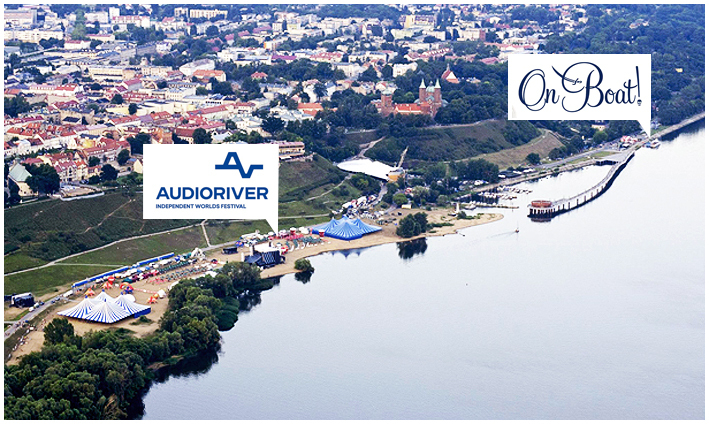 ON BOAT W CZASIE AUDIORIVER 2015! 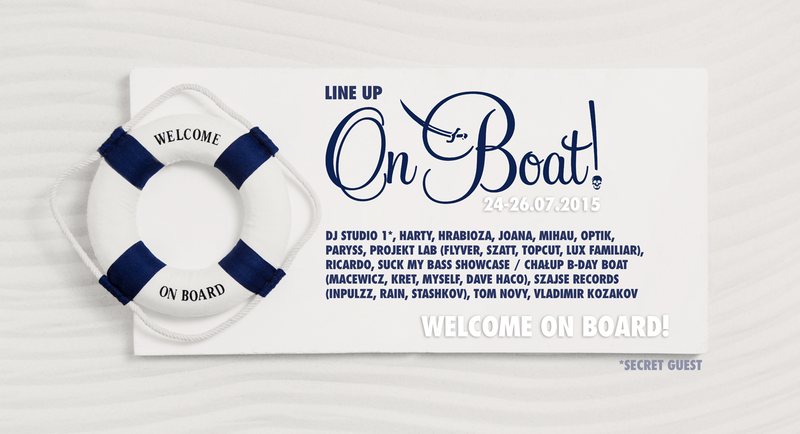 C&C BOOKINGS | SZAJSE RECORDS | DIAMENTON pres: ON BOAT! #Płock #imprezowy weekend #słońce #wakacje #muzyka elektroniczna – nie ma lepszego połączenia… A gdyby do tego dodać jeszcze rejsy statkiem po Wiśle odbywające się w akompaniamencie wyselekcjonowanych dźwięków? W dniach 24-26 lipca po raz drugi odbędzie się wyjątkowe wydarzenie muzyczne – imprezowe rejsy ON BOAT! Dzięki współpracy agencji C&C Bookings oraz kolektywu Szajse Records imprezowe łajby ponownie zawładną falami Wisły. Łącznie 9 rejsów z najlepszymi polskimi dj, producentami muzyki elektronicznej, performancerami – to nie lada gratka dla każdego, kto szuka ciekawych sposobów na spędzenie czasu ze swoją ulubioną muzyką w tle. Domeną tego wydarzenia jak zwykle będzie pobudzanie wszystkich zmysłów – fale uderzające o pokład, wodna mgiełka, szum rzeki, wokół natura, a wszystko to okraszone basem wydobywającym się z głośników ustawionych na burcie statku. Dodatkowo przy wejściu na pokład znajdziecie specjalną strefę chill, przygotowaną przez firmę Loonyline, która będzie miała dla Was wiele niespodzianek. Czy jest lepszy sposób na spędzenie dnia podczas tego weekendu w Płocku? ON BOAT – do zobaczenia na pokładzie! CENA: 30zł / osoba / rejs. Do kupienia tutaj. Loonyline to marka, która powstała z doświadczenia i pasji jej twórców. Te cechy w połączeniu z perfekcjonizmem i zamiłowaniem do pięknych i dopracowanych przedmiotów, dały w efekcie produkt, który jest adresowany do najbardziej wymagających odbiorców! 6 rejs: sobota / 18:00 – 20:00 – SOLD OUT! Każda z osób która opłaciła bilet otrzyma specjalnie oznaczoną opaskę, pozwalającą na wejście na pokład. Pamiętajcie by mieć przy sobie bilet (wydruk) – opaska zostanie Wam przekazana po zeskanowaniu kodu kreskowego znajdującego się na bilecie. I genuinely enjoy looking through on this internet site, it holds good articles. „Never fight an inanimate object.” by P. J. O’Rourke. I was looking through some of your content on this website and I think this website is really instructive! Retain posting . I was studying some of your posts on this website and I believe this site is really instructive! Keep on putting up. Thank you for another great article. The place else may anyone get that type of info in such an ideal approach of writing? I’ve a presentation next week, and I’m on the look for such info. Thank you for sharing superb informations. Your site is very cool. I’m impressed by the details that you’ve on this blog. It reveals how nicely you perceive this subject. Bookmarked this web page, will come back for more articles. You, my friend, ROCK! I found just the info I already searched all over the place and simply couldn’t come across. What a perfect site. It¡¦s really a cool and helpful piece of information. I¡¦m satisfied that you shared this helpful information with us. Please stay us informed like this. Thanks for sharing. I was recommended this blog by my cousin. I am not sure whether this post is written by him as no one else know such detailed about my difficulty. You’re wonderful! Thanks! wonderful points altogether, you just won a logo new reader. What may you recommend in regards to your publish that you just made some days in the past? Any sure? Wow, marvelous blog layout! How lengthy have you ever been running a blog for? you made blogging look easy. The whole glance of your website is great, as well as the content! Good – I should certainly pronounce, impressed with your website. I had no trouble navigating through all tabs and related info ended up being truly easy to do to access. I recently found what I hoped for before you know it in the least. Quite unusual. Is likely to appreciate it for those who add forums or something, web site theme . a tones way for your client to communicate. Excellent task. This design is steller! You obviously know how to keep a reader entertained. Between your wit and your videos, I was almost moved to start my own blog (well, almost…HaHa!) Excellent job. I really enjoyed what you had to say, and more than that, how you presented it. Too cool! I reckon something really interesting about your web site so I saved to bookmarks . I am not sure where you’re getting your information, but great topic. I needs to spend some time learning much more or understanding more. Thanks for great info I was looking for this info for my mission. 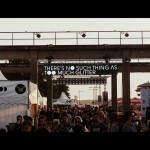 I like this weblog very much, Its a real nice berth to read and incur info . „Never contend with a man who has nothing to lose.” by Baltasar Gracian. I’m not sure where you are getting your info, but good topic. I needs to spend some time learning more or understanding more. Thanks for great information I was looking for this information for my mission. I do consider all of the concepts you’ve presented on your post. They are really convincing and can certainly work. Still, the posts are too brief for novices. May just you please lengthen them a little from subsequent time? Thanks for the post. Thank you for the auspicious writeup. It in fact was a amusement account it. Look advanced to far added agreeable from you! By the way, how could we communicate? My brother recommended I might like this blog. He was totally right. This post truly made my day. You cann’t imagine just how much time I had spent for this info! Thanks! I must convey my respect for your kindness giving support to persons who absolutely need help on your theme. Your special commitment to getting the message all through had become unbelievably invaluable and have helped guys and women like me to attain their endeavors. Your helpful help and advice indicates this much a person like me and extremely more to my fellow workers. Thanks a ton; from all of us. I enjoy you because of your whole efforts on this site. Kim really loves engaging in internet research and it is easy to understand why. A lot of people notice all of the dynamic ways you produce powerful suggestions by means of your web blog and in addition recommend participation from the others on the subject matter while our child has always been discovering a lot. Take advantage of the rest of the year. You are conducting a dazzling job. Excellent goods from you, man. I have understand your stuff previous to and you are just too magnificent. I really like what you have acquired here, really like what you’re saying and the way in which you say it. You make it enjoyable and you still take care of to keep it wise. I cant wait to read far more from you. This is actually a terrific website. Thanks for sharing excellent informations. Your web-site is very cool. I’m impressed by the details that you have on this site. It reveals how nicely you perceive this subject. Bookmarked this web page, will come back for extra articles. You, my pal, ROCK! I found just the information I already searched everywhere and simply could not come across. What an ideal web-site. Thanks so much for providing individuals with an extremely superb chance to check tips from this website. It’s usually so excellent and as well , full of a good time for me and my office mates to search your site no less than thrice a week to read through the latest issues you have. And of course, we’re certainly satisfied with all the unique concepts you give. Certain 3 ideas on this page are clearly the very best we have all ever had. My partner and I stumbled over here by a different page and thought I might as well check things out. I like what I see so i am just following you. Look forward to looking over your web page yet again. Great – I should definitely pronounce, impressed with your web site. I had no trouble navigating through all the tabs and related info ended up being truly easy to do to access. I recently found what I hoped for before you know it in the least. Reasonably unusual. Is likely to appreciate it for those who add forums or anything, web site theme . a tones way for your client to communicate. Nice task. Some truly fantastic blog posts on this web site, appreciate it for contribution. „An alcoholic is someone you don’t like who drinks as much as you do.” by Dylan Thomas. Great web site. Lots of useful info here. I’m sending it to several buddies ans additionally sharing in delicious. And naturally, thank you on your effort! Good day, at this outset I want to with thanks for your energy put in to BLOGURL writing this article. He improved me exceptionally and specified things have become clear opinion. Particularly the ones contained in this article -> BLOGURL. For certainly will put a hyperlink on an individual’s Facebook – link will likely give a name: BlogTitlethat will my friends from it interested. And Concerning many friends that happen to be interested throughout computers along with everything associated with them. Best regards NAME. Hi, Neat post. There is a problem with your website in internet explorer, would test this… IE still is the market leader and a big portion of people will miss your excellent writing due to this problem. I just want to tell you that I’m newbie to blogging and site-building and actually loved you’re web blog. Probably I’m likely to bookmark your website . You definitely come with very good posts. Many thanks for revealing your web-site. UP TO DATE ROZSTAJE SIĘ Z CINKIEM – PROMO! Copyight © 2013 by DW Fixel. Proudly powered by WordPress. Theme DW Fixel by DesignWall. 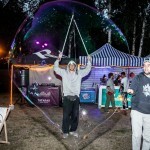 Na bieżąco śledzimy festiwalowy rynek, który w Polsce nabiera coraz większego znaczenia. Gromadzimy ciekawostki i newsy. Dzielimy się przemyśleniami. Inspirujemy do dyskusji. Chcesz podzielić się ciekawym zdjęciem, linkiem, bądź opinią? Napisz do nas! Wykorzystujemy pliki cookies po to, by nasz portal lepiej spełniał Twoje oczekiwania. Możesz zablokować zapisywanie cookies, zmieniając ustawienia przeglądarki.